This was the first chance to see the 13 short films commissioned through Animation 2018, the prestigious programme from the BFI and BBC Four, executive produced by Wingspan Productions, designed to find and support the UK's most exciting new and emerging animators. 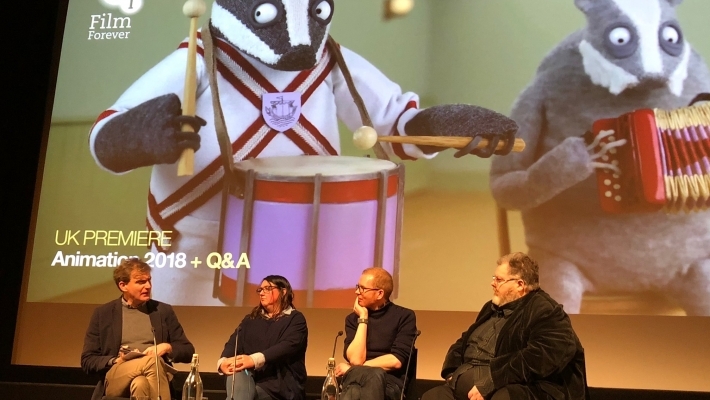 The enjoyable BFI premiere showcased an enormous range of different approaches to the form, using styles and techniques ranging from hand-drawn images to live-action puppetry, stop motion, CG, 2D and 3D covering a diversity of genres from science fiction to documentary. A lively discussion afterwards, with Helen Brunsdon (Director of the British Animation Awards), Jez Stewart (Curator of Animation at the BFI National Archive), Justin Johnson (Lead Programmer for BFI Southbank) and Cassian Harrison (Channel Editor for BBC Four) considered the opportunities and challenges facing animators seeking to work in this medium.